A few days ago, as we tend to do every now and then, Chris and I were talking about comics. This is only newsworthy because I haven’t been reading them for the last 6 months or so. You may remember last year that I had a 50 dollar a week habit that I had to quit because it was becoming financially untenable. I tried to go the same route as Chris and order from Midtown Comics, but I have been trained by Amazon to not pay anything for shipping and they charge. I then tried an alternate way of getting and reading them, but I didn’t have a good way to do that. As a result, I have been out of the loop for quite a while. It’s not that I don’t like comics. 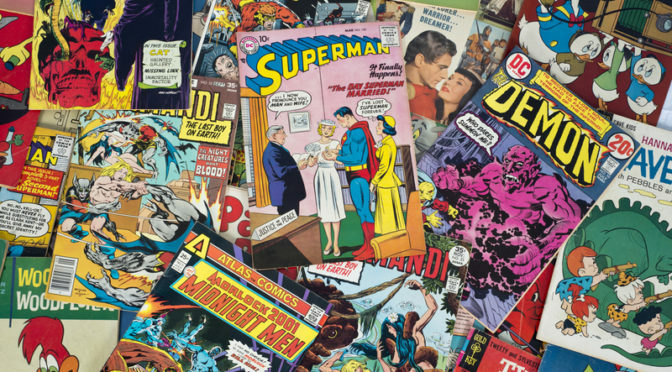 In fact, I had been enjoying comics more than I had in a long time and more than many other fans seemed to have been enjoying them, Chris included. Oh, he’s solidly in DC’s corner, but has nothing but contempt for Marvel right now. I actually enjoyed most of the books from both companies when I was reading. 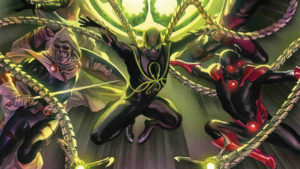 I was even in their corner through Secret Empire and Legacy. I may be faltering with their latest reboot of their most recent reboot of their reimagining of their lineup. 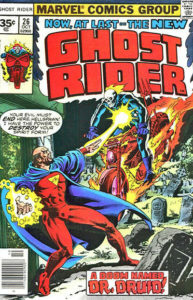 Being an unabashed Marvel zombie for life (and it appears afterlife), I first checked out a couple of Marvel books. I went with two comics that I had really been enjoying in my most recent comics life, Dr. Strange and Old Man Logan. I don’t remember any of the other titles, but I think that there might have been a Spider-Man title in there and perhaps The Avengers (which Chris says is good). 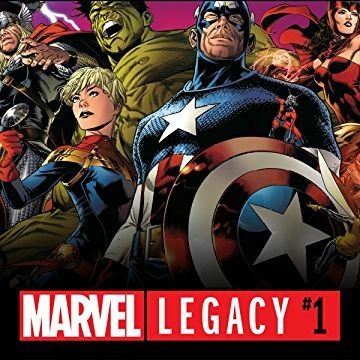 I looked into The Avengers, because I remember it being good before when Mark Waid was writing it and he still is, so it’s probably still a good title. Dr. 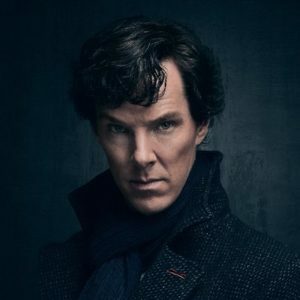 Strange was, as I said to Chris, Dr. Strange. It wasn’t great, but it wasn’t bad, either. It was what Dr. Strange is supposed to be, I guess, and perhaps speaks to the holding pattern that Marvel comics is, and has been, for a few years now. They have not been able to translate the success of their movies and some of their TV shows into their comics. They keep trying things, but nothing is working. The reason for this is obvious and both Chris and I have said it several times. It’s easy to get people into the movie theater. Every geek who’s ever gotten a girlfriend and had kids is an automatic audience. I speak from experience. I have taken my girlfriend, now my wife, to many Marvel movies. Now that my kids are getting older, I generally spare her and take them. She wants nothing to do with comic books other than for a while, she was reading Buffy the Vampire Slayer and Angel. Now, she just rewatches the shows with the kids. All three kids did show an interest in the comics and they would read them after I was finished with them. Though, to be honest, Liam was only reading Secret Empire because he overheard me flippantly saying that Captain America is a Nazi and he’s at the age when he starts to learn about that part of history and was intrigued. Aiden only read Flash comics and much of what I got was too far above Quinn with the violence. But, and this is important, I only ever bought one copy of the books and rarely went out of my way to buy other books that I didn’t want to read. Are we really going to discuss cover price again? You betcha! Because, the fact of the matter is that the rate at which I was spending money on comics was absurd. I could not continue to drop that much money every week and I was at a minimum of books that I actually wanted to read. Truth of the matter is that I could have spent twice as much with all of the good content out there. Again, Chris had the idea of Midtown, which I probably should, but I haven’t taken the plunge yet. So, I just stopped buying. I’m not completely back into comics, but I have taken that first step, so to speak. I think that’s usually in the context of quitting an addiction, but this is one from which I won’t ever be completely free. The other book that I read was Old Man Logan. Chris recommended it through his friend’s words, so I checked it out. This one was better than Dr. Strange and more in line with what I remember from last year when I was reading it. I’m not sure where the story is going, but it has an interesting take on the nature of reality and if it is just planned with no true free will. It’s always a question that has interested me, so I’m willing to keep giving it a read. After talking to Chris, I found the archives of one of my now defunct web pages. One of the articles was an article that I could have copied, done a fine and replace of “DC” with “Marvel” and released it as new content. It was during the time of the New 52 content and DC seemed just as rudderless and without direction as Marvel does now. I made the joke that in 3 years, if comics are still around, maybe Marvel will be good again. Chris contends, and sales figures back him up, that DC is far superior to Marvel right now. I won’t argue that point. I will simply state that as I ease back into comics, I have not read a single DC title over the past two weeks. That is neither an endorsement nor a indictment. It simply is and I want to be intellectually honest about that. I haven’t read any independent books, either, but I hadn’t read nearly as many of them as DC and Marvel before the break. Who knows? I should, but I don’t. I don’t have the money for comics. I don’t have the time for comics. I really enjoy comics and want to read them, but when? And, who is paying? I thought I found a way to solve both of those problems, but so far, it hasn’t worked as planned. I guess stay tuned to see if more review are forthcoming. That, folks, it what we call a teaser. Chris and I got together this weekend via Skype to record the podcast.A� We discussed many things current Magic the Gathering.A� Our two main topics were our thoughts about the Masters 25 set and a preview of Dominaria, the set coming out next month.A� I already talked about my thoughts on Masters 25 and the dilemma I was facing regarding the set.A�A�Spoiler Alert:A� I didn’t buy a box of Masters 25.A� I bought an XBox One instead. 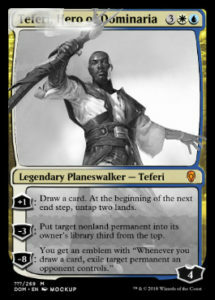 Without stepping too much on our discussion, I did want to do a companion preview piece for Dominaria.A� One of the things that we didn’t touch on too much in the podcast is that the reason we can discuss the set is that there was a huge leak that came out of Wizards of the Coast.A� Initially, we thought that it was all of the cards from the set.A� Now, though, we realize that it is about 150. If you’re thinking that we aren’t usually ones to speculate knowing only a bit more than half of the cards from the set, you are correct!A� So, what did we talk about for over half an hour?A� Guess you’ll just have to tune into the show to hear it all. One of the most popular formats in the game is Commander.A� If you don’t know what commander is, you choose a legendary creature that becomes your commander.A� You then must build a deck with 99 additional cards.A� The stipulations are that you can have only one copy of each card and all cards must be the same color identity as your commander. 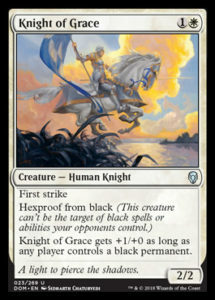 The format is fan created and not officially sanctioned as a competitive format by Wizards.A� Additionally, at least one off shot called Tiny Leaders had grown out of the format.A� These two statements have come to a head with the recent announcement that Wizards is sanctioning a commander type format that was inspired by this set. The format is called Brawl.A� Similar to commander, you may choose a legendary, your deck can only contain one copy of each card, and the cards must follow your planeswalker color identity.A� Unlike Commander, the cards must be standard legal.A� That adds an interesting new angle to the format that will hopefully bring new players into the game.A� One of the problems with eternal formats is that they are expensive and intimidating for new players.A� By limiting the cards, Wizards is giving players a chance to try something without having to make a huge time and money commitment. So far, there haven’t been any new mechanics introduced in the set.A� As with most sets, there are recycled mechanics.A� Also, there have been modifications to other keywords and card types that may change the game in new and interesting ways.A� Let’s take a look at both of these in turn. 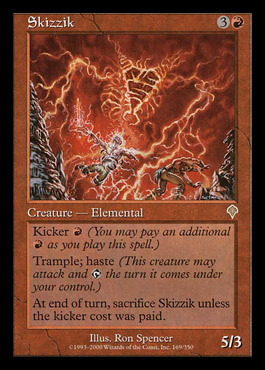 Kicker – This is an old keyword that allows for an extra effect for more mana.A� Some of my favorite cards in the cube drafts that I’ve done have had kicker and I really enjoy this keyword.A� It makes your opponent have to think more and plan around the additional possibility presented by the kicker.A� In some cases, it is almost like being able to cast two cards but only having to use one card slot in your deck. For one more mana, you get a more powerful Ball Lightning. For two more mana, you get a permanent Ball Lighting. Still dies to lightning bolt, though. Hexproof (from quality):A� Normally, hexproof just gives your creature protection from all spells or abilities controlled by your opponent.A� This new variation simply gives your creature hexproof from a something specific.A� The two cards that I first noticed with this on them had Hexproof from a color, which I found interesting because in the past, it has been protection from color, which also prevented you from casting those spells on your creature. Haha, your opponent can’t dismember him. You can. I mean, if killing your own creatures is your thing. Legendary Sorceries:A� Legendary has been a keyword in the game since the beginning.A� Traditionally, it has been there to give creatures a special quality, namely that only one of them was allowed to be on the battlefield at one time.A� That birthed the EDH, or Commander, format in which players build decks that are made up of only one copy each card in their deck.A� Now, if you have a legendary creature on the board, you can cast a legendary sorcery, which could potentially have a profound effect. Or, it could be a weird perversion of an older (and IMO much better) card. 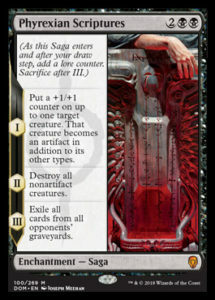 Saga Enchantments:A�A�Another introduction to the Magic universe with this set is Saga enchantments.A� Like the old cards that leveled up with mana, the card becomes more powerful as the game progresses.A� Unlike those cards, these enchantments level up automatically during your turn.A� I’ve always liked the idea of being able to change a card during the game while it’s on the battlefield or in your hand. Morph, flip cards, split cards, and kicker are always mechanics that get me excited about the possibilities.A� Leveling cards take all of this to a new, uh, level (sorry about that).A� It brings one of the things that I enjoy about playing role playing games and brings it into Magic the Gathering.A� It also gives me something to do in my cube drafts when I’m flooding out.A� Nothing but a Joraga Treespeaker and forests in my hand?A� Use that mana to make more mana! As a result, I like the idea of Saga cards.A� Just like the legendary sorceries, I have no idea how many (if any) of them are going to be good.A� But, and this is more important to me personally, it looks like some of them will be fun.A� Being mythic, I doubt I’ll pull them from a pack.A� If I do, though, Chris better watch out because I’m going to try to build a deck around it. Each new set also brings with it new planeswalkers.A� In keeping with the theme of history with this set, we are getting some names that are familiar but that we maybe haven’t thought about for a few years.A� One of them, in particular, is well known and loved. 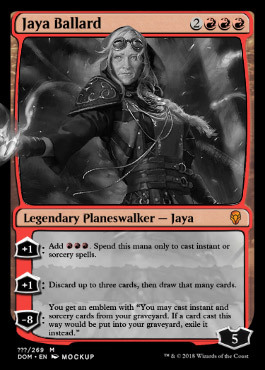 It’s a red planeswalker that does red things.A� It’s almost as if Wizards wanted to do a Chandra card for this set, but didn’t want to do a Chandra card for this set.A� So, they made this card, named it Jaya instead of Chandra, and called it a day.A� Honestly, though, I’m not the best judge of red cards.A� I just can’t get into that mindset at all. Now, this is more like it.A� As a blue mage through and through, this card speaks to me.A� It draws cards and untaps lands.A� It messes with the opponent’s tempo by removing things but not making it easy to recast them.A� I really like this card and I’d love to build a commander or Brawl deck based around him. 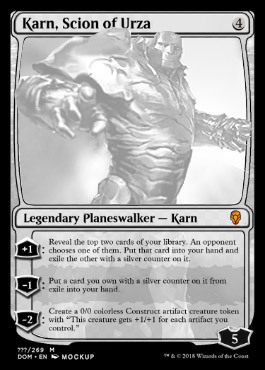 This is the name that I was talking about earlier that was well known and well loved.A� Karn is a modern staple in Tron.A� Personally, this is the first card after having gotten back into the game that I was truly impressed by seeing it played and the powerful effects that it can have on a game.A� Poor, poor Karn.A� As I said to Chris, they couldn’t just reprint the old card, but it feels like they nerfed this poor guy into the ground similar to how Blizzard deals with problematic cards.A� I mean, it’s not terrible.A� Compared with the old card, though, I’m starting to see now how old MtG mages feel when they see updates to older cards. 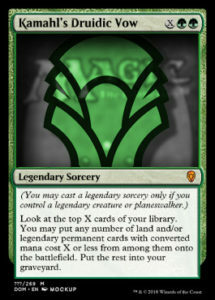 When Chris first sent me the link to the spoilers for the set, I was a bit underwhelmed.A� Similar to my reaction to M25, I had put big expectations into this set.A� We were going back to the beginning of Magic the Gathering.A� What could that possibly mean?A� Apparently, it means that we are going to be disappointed.A� At least at first glance.A� Then, when I looked at the set again and got to see it through Chris’s eyes, I started to see more potential from the set.A� I’m sufficiently excited.A� I want to draft this set.A� I want to build several Brawl decks.A� And, I want to buy and open some product.A� Come on April! 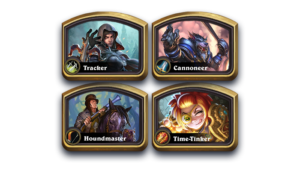 Last week or the week before, I did a quick post about the new season in Hearthstone.A� A few times I said that I refused to speculate myself, but I did mention a rumor that I heard that made sense to me. Someone made the connection between each Hearthstone season and the sorts of sets that we could expect from them.A� Their conclusion was that the Year of the Raven would be one of dark and mystical forces.A� While that part seems to be true with at least the first expansion, that’s the only rumor that has so far been true. The extension of this thought was that Hearthstone might be travelling to the World of Warcraft zone Duskwood.A� I had my suspicions that wasn’t true that I wrote in the article.A� Admittedly, my only evidence for my theory was that the gem in the center of the card just didn’t put off much of a Duskwood vibe.A� Still, I’ll take a victory lap when I get something right. Instead, we are going to a forest in (near?) Gilneas known as the Witchwood.A� Even having played World of Warcraft obsessively for almost 3 years and then off and on for another 5 or 6, I had to Google Witchwood to make sure that it wasn’t just some Hearthstone version of Duskwood.A� Sometimes Hearthstone adds to or modifies WoW lore in that way.A� They didn’t this time.A� This is honest to goodness WoW lore that they’re using this time, albeit, a somewhat obscure one. So, what do we know about the Hearthstone version of Witchwood.A� Surprisingly, even though the expansion isn’t due until April and most of the major card reveals are still a week or two away, we know quite a bit from what has been released.A� Let’s explore the spooky forest, shall we? 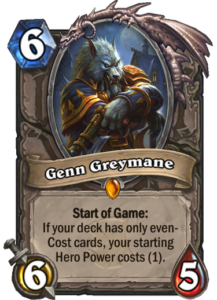 One of the things that the Hearthstone team has been consistent is that they want to use Hearthstone to explore ways to make the game unique by doing things with the digital format that you can’t do in paper.A� I mean, I like Magic and I like playing Magic on the computer, but that’s all it is.A� It’s just Magic on the computer.A� Even the new game, Arena, which is supposed to be more user friendly and attract some of the Hearthstone crowd into Magic, is just Magic on the computer with a different wrapper. That’s not true with Hearthstone.A� Once upon a time, Blizzard did have a paper World of Warcraft TCG and I still enjoy playing it from time to time.A� When Hearthstone came along, they stopped supporting the paper cards.A� I feared that Hearthstone might just become WoW TCG on the computer.A� The fear was initially supported by them recycling card art and mechanics from the game.A� But, the fear was put to rest when Chris tried to make a paper version of Hearthstone and found that it would be too bogged down by all of the RNG inherent in Hearthstone. 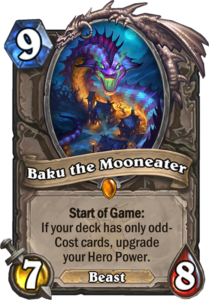 I’m not the only one who thinks so.A� I was watching a streamer the other day who was trying to put together decks for the even and odd cards that had been revealed using the cards that are available in the game so far.A� He made sure to repeat several times that the card pool was incomplete and that there might be cards from the Witchwood expansion that could strengthen the decks.A� But, so far, none of the decks even looked to be fun.A� Certainly none of them would be viable in any competitive format, except maybe the mage deck that used the card that upgrades your hero power at the start of the game. 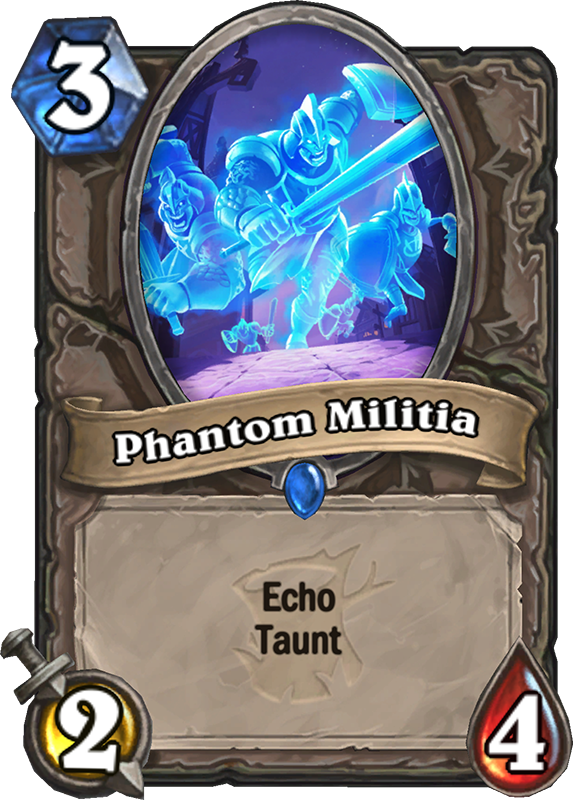 Echo – I recognized this one from Eternal.A� It doesn’t work exactly like it does in Eternal, but it is has some similarities.A� In Eternal, when you draw a card with Echo, it creates a copy in your hand that you can then cast.A� With Hearthstone, the card is copied when you play it and then you can cast it over and over again.A� For instance, if you had the Phantom Militia card which is the only one to have been spoiled so far, you could cast 3 2/4 taunts on turn 9 or 10.A� Depending on what cards they put the echo mechanic on, it seems like it could be much more broken than the Eternal version. 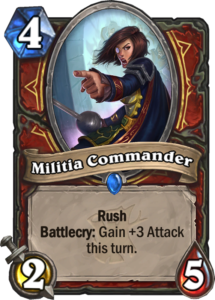 Rush – The designers have been saying for a few expansions now that they think the charge mechanic was a mistake.A� It really became apparent when Patches the Pirate was such an oppressive card in Standard and they realized that it would most likely continue into Wild.A� There was one other card that had charge but could only attack minions, so they must have taken inspiration from that one for the new mechanic.A� I realize that charge is common to all card games in one form or another, but it is especially annoying in a game like Hearthstone because it is one that is, according to the designers, predicated on board control and trading.A� Rush brings that aspect back to the game while still having minions that attack right away. The release schedule for Hearthstone used to be two sets and an adventure released each cycle.A� I might be wrong about that.A� But, there were adventures released that allowed players who didn’t want to pay money and didn’t play enough to get gold for packs to get dust or cards.A� They did away with adventures recently, which I thought would have a deleterious effect on the game.A� Honestly, as with most decisions, it hasn’t had much of an effect at all that I can see.A� Perhaps those players who relied on them to increase their card collection more than I do would argue otherwise. They are still releasing adventures.A� It’s just that the focus of them has changed.A� With Kobolds and Catacombs, they put together a solo adventure mode that allowed you to pick one of the established classes and build a deck through randomly offered cards.A� The mode also gave “loot” in the form of additional cards or game effects.A� It is a fun mode, but that’s all it is.A� There are no rewards for defeating all of the encounters and the boss.A� That’s a bit disappointing because even a tiny bit of gold for your first time with each class would be nice to have.A� Oh well, no big deal. 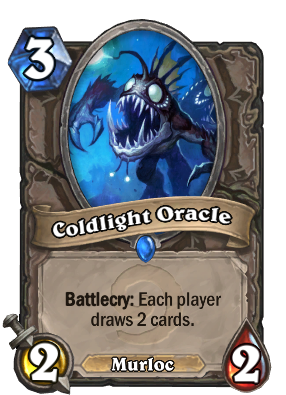 They’ve expanded on this idea with Witchwood.A� It is similar to the Kobolds and Catacombs solo mode in that you fight against a predetermined number of encounters.A� Also, after you defeat an encounter, you get loot cards to improve your deck.A� Where it differs is that youA� choose from one of the four new classes in the above picture instead of the established classes of the game.A� I’m pretty excited about this idea because I generally enjoy the single player modes of card games. I’ve logged probably twice as much time in Eternal’s single player modes as competitive.A� I’m stuck on an encounter in HEX, but I did enjoy it while I was playing it.A� I don’t spend nearly as much time in the single player mode in Hearthstone compared to the competitive modes, but I do still enjoy playing through this game mode.A� I just want some rewards is all. 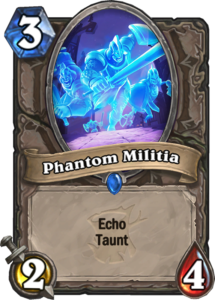 I’m not sure what to think about the odd and even decks.A� I like the idea of trying new things.A� But, this idea just seems bad overall.A� The new mechanics are cool.A� Echo seems like it is just waiting for the right card to be abused to a horrifying degree. 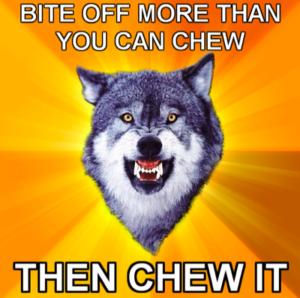 A�Can’t wait for the first noob to try to point a rush minion at my face and “Whoops” him. A�More of a solo mode that is fun can only be a good thing.A� It also leads to the possibility of even more going forward.A� Stay tuned for the official 2GG preview once all of the cards have been spoiled. 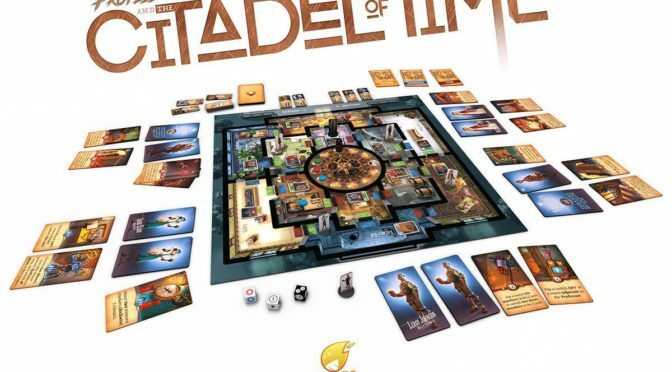 A couple of months ago, I wrote about my brief subscription to Board Game Bento.A� They had some a discount code for the holidays and I always wanted to try the service.A� Unable to pass up a deal that gave me a chance to do just that, I signed up.A� I already wrote an article about the first month’s box.A� Due to a mix up with my Paypal account, I got subscribed for a second box even though I meant to cancel after only one. As Bob Ross is fond of saying, that was a happy little accident. I wasn’t sure that I would continue with the subscription beyond that first month.A� I’m still not sure if I will and the subscription is currently on hiatus until I determine if it will be worth it.A� I think that I might have mentioned that the dollar value more or less checks out, but maybe not all of the games are ones that our family will play.A� In addition, Christine made the point that we already have a ton of games and not much room for storage right now. As a result, the current answer is leaning not very heavily in the “no” column.A� Even if only one of the games is playable by the family (and so far, we have found at least one from the first two boxes that we’ve received.A� You may have deduced, therefore, that this article is about the game that we played from that second box.A� Brilliant deduction, Sherlock! Yes, you are also correct in assuming that I only said that so that I could post a picture of my man crush. The theme of the second box was time.A� There were two card games that looked interesting.A� One can even be played solitaire.A� However, we haven’t tried either of the card games yet.A� Christine noticed the board game, Professor Evil and the Citadel of Time, said that it looked interesting, and she, Aiden, Quinn, and I played through the game. The game is a cooperative game, which is great for our family.A� None of us are really that competitive except for Aiden.A� I mean, we all have our competitive streaks as all people do, but we temper it with an overall attitude of just have fun with it.A� While it may not be effective for everyone, it has fostered a safe environment in which to play games.A� I’ve also been able to appeal to Chris’s charitable side and get him to adopt more friendly rules during our Magic games.A� I also think that he gets a lot of his competitive juices out during his games against Darren, so he’s often just looking for kitchen table fun when we sit down together. My mother got us a game for Christmas a few years ago that was a cooperative game that we played a few times.A� It was a pretty good game, but I think that this game captures the spirit of games better than that one ever did.A� You work together as a team in an attempt to recover stolen artifacts from the mansion of Professor Evil.A� There are several obstacles in your way; traps, time and the professor himself. 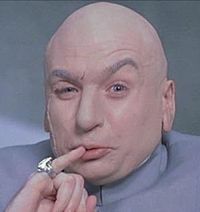 But, if you are successful, you win one million dollars. This seems like a common theme for board games that we’ve played recently and here we go again.A� When Quinn and I played Flag Dash, the set up for the game took longer than our play through and the payoff was not worth the time invested.A� This game suffers from a similar issue.A� Christine took about 15-20 minutes to simply set up the game.A� I thought that was a bad sign and that we’d be in for another disappointing experience. Luckily, unlike Flag Dash, once the game was set up, it was much more intuitive to play the game.A� We all picked up on the turn order very quickly, used strategy and teamwork when necessary to win the game.A� It looked a bit grim and that we might lose.A� Instead of giving up, though, we formulated a plan that worked and got us the victory just before the Professor escaped with his stolen goods! I said earlier that I was slightly leaning “no” with regards to signing up for a longer subscription for Board Game Bento.A� I haven’t changed my mind completely yet, but there currently is a bit of an ugly internal battle going on inside of me.A� Logically, I know that I probably shouldn’t.A� Inside my gamer’s heart, though, I’m pretty positive that I’m going to make the illogical decision. 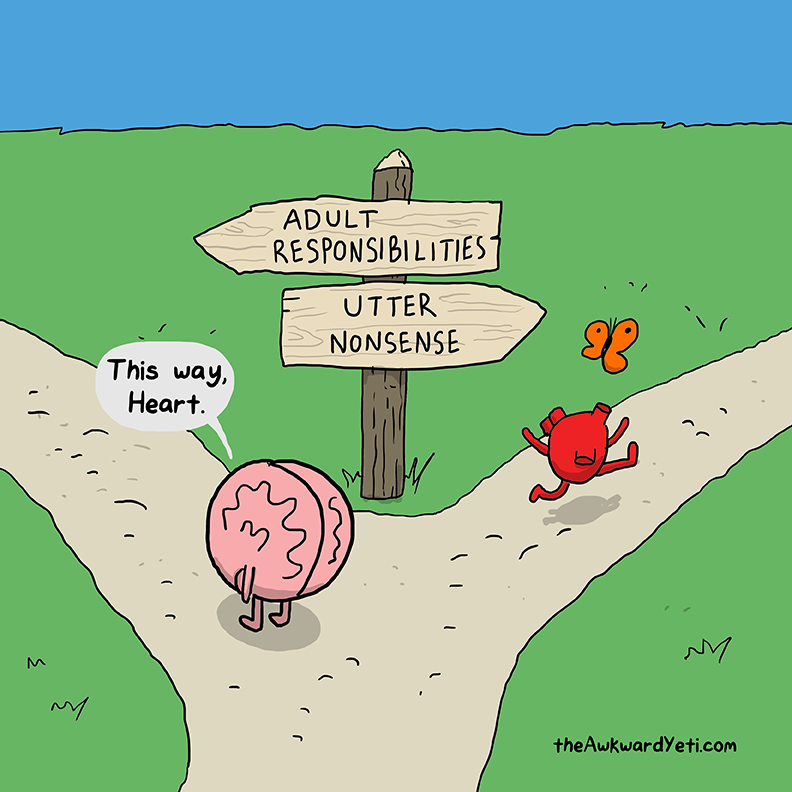 Nonsense is so much more fun. I mean, really, we’ve gotten two boxes and have gotten at least two playable games from them.A� That’s all I’m looking for right now.A� As the boys get older and get involved in more things, as I work two jobs that keeps me out of the house for 12-16 hours a day, and as we all enter that time in our lives when we all are drifting apart for a few years, the time that we do get together is precious and I’m always thinking of ways to increase that time and make it more memorable.A� So, perhaps it isn’t such utter nonsense after all. This was a fun game.A� Initially, we sold it to the boys and ourselves as a game similar to Clue.A� Since they all enjoy playing that game so much, it wasn’t hard to convince them to give this one a try.A� It wasn’t as much like Clue as we thought, but it was still a fun game.A� I especially liked both the cooperative nature of the game and that the game had a win condition.A� That was missing from the last cooperative game that we played.A� Though, to be fair, that game was mostly just for little kids to teach them about good sportsmanship and sharing, so probably not the best comparison.A� We haven’t played it again since that first time, but it should become a regular in our rotation for family game nights. As far as the overall subscription, I’m no longer certain that I won’t sign up.A� I’m not even leaning in any significant way towards “No”.A� For the reasons discussed above, I might just give it another few months to disappoint me.A� Then again, Aiden is a fan of the Tinker Crates,A� those are much cheaper, and we can work together on those, too.A� Plus, I just bought a whole bunch of ebooks about designing video games, building robotic Lego structures, and making drones.A� I have a feeling we’ll be quite busy for the foreseeable future. One of the reasons that I finally ordered an XBox One after so long of living in the past (well, really, I always live in the past when it comes to video games) is that a deal came along that I simply could not ignore.A� Chris texted me about it because he knew that I was looking.A� I also suspect that he secretly might be working for Microsoft and that’s how he can afford such a luxurious lifestyle.A� Granted, he did buy a PS4, but that’s exactly the kind of thing that a secret Microsoft employee would do to make it seem like he’s not working for The Man. The bundle that Chris told me about was an XBox One with Forza, the Forza Hot Wheels DLC, GTA V (Five), and another game that I can’t remember right now.A� Well, the main reason that I wanted an XBox One was for cross platform Minecraft.A� I could buy the game (again), and would have.A� However, I noticed that Wal*Mart had the exact same bundle available with Minecraft instead of Forza.A� I like Forza, but I have not played it even a fraction of the time I’ve spent with Minecraft.A� That sealed the deal. 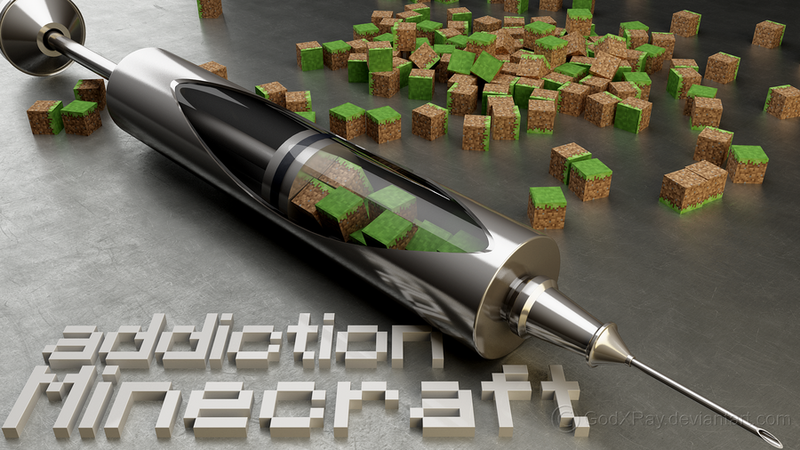 Minecraft is a hell of a drug. It still took me a week or two to order the system.A� I wanted to have ample time to play it and my break (this week) was still a couple of weeks away.A� By the time I got around to ordering it, the other game (that I can’t for the life of me remember), was sold out.A� They were offering Destiny 2 instead.A� No big deal.A� The game that I really wanted was Minecraft.A� As I discussed in my last article, GTA is always just big, dumb fun. 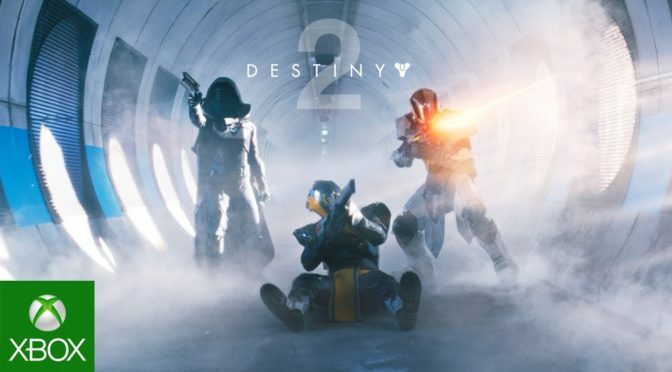 In my discussions with Chris and Kevin about Destiny 2, I mentioned that I had heard mixed reviews of the game.A� I’m learning more and more that might not actually be the truth.A� Because of the proliferation of voices due to the internet and social media, we tend to hear and read things that may actually be popular opinion but become part of the zeitgeist due to repetition.A� What’s the saying? 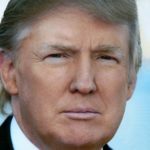 If you repeat a lie enough times, eventually it becomes the truth. In spite of the negative comments that I heard about Destiny 2, I bought the bundle.A� I suspect that they might have just been because people like bashing Activision whenever they can.A� It started (at least I started to notice it) when they invested in Blizzard a few years ago.A� I find it funny that one of the little guys who were just trying to make good games when I was a kid have become the 900 lb. gorilla in the room and a big bad simply because they want to give developers money to develop good games.A� I will never understand the psyche of nerds today. 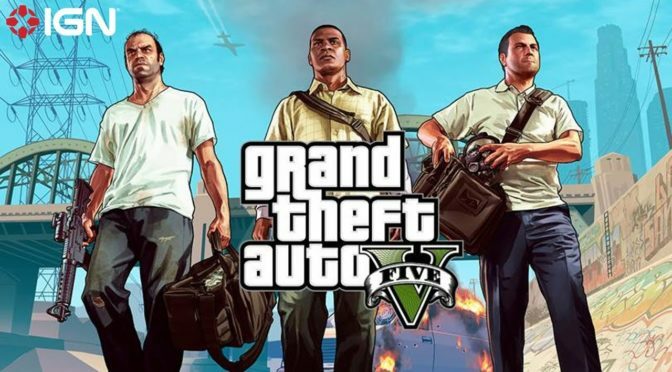 In my GTA V (Five) article, I talked about the story in this section.A� Those of you who are regulars at the page know that I often talk about the story with games.A� I understand that not everyone is into good stories, but I feel like enough of us are that they keep trying to appease us with decent to good stories.A� Again, take this with a grain of salt because I don’t remember the source, but I heard the argument that some of the best narratives today are in video games.A� Actually, I just remembered where I heard it.A� Christine and I have been binge watching the MTV Scream show and a character made the point. Ignoring the source, I do think that they have a point.A� Since the graphics of games have gotten so good and realistic, they can’t really be used to sell a game anymore.A� As a result, there are more or less two ways to sell a game.A� First is with gameplay and the second is by writing a compelling story.A� While Nintendo has decidedly gone in the direction of gameplay, many other developers have chosen to hire better writers.A� Heck, one developer makes its money solely on “Story Mode” games. I appreciate both methods and am still a huge fan of Nintendo.A� However, as I get older and my time is at more of a premium, I find myself playing and replaying those games that offer the story.A� If there’s any question about that, I have played through Portal 2 twice, once by myself and once while the boys watched to show them the story.A� I discovered it again the other day when I was trying to hook up a controller to the computer for Minecraft and started playing through it again.A� It wasn’t at my favorite part of the story yet, so I didn’t finish it again, but it’s only a matter of time. The cake may be a lie, but Portal 2 is the real deal. Again, similar to GTA V (Five), I’ve only gotten to play a bit of the game the other night before passing out on the couch.A� Whereas I only got a little bit of the way through the tutorial missions there, I am about 2 hours into Destiny 2.A� In that time, I can confidently say that the story is going to be good.A� It’s not a terribly original story and might actually be the only story that these types of games are producing at this point, but it is a good start and I can tell that it should keep me interested in the game for a bit. I’ve never been a fan of first person shooters.A� Well, that’s not technically true.A� One of the first games I ever became obsessed with was DOOM and then Hexen after that.A� I got Quake for the Nintendo 64, but I didn’t play that much.A� By that time, I had moved on to 3D platformers because of Mario 64 and Spyro the Dragon.A� I also really liked sports games, especially MLB The Show for the PSP.A� It wasn’t that I didn’t like FPS games, it’s just that there were so many other games out at the time and what felt like a glut of first person shooters.A� I think this was around the time that all of the military games were being released.A� Because I wasn’t a social gamer at the time, I had absolutely no use for them. Since then, Chris and I have been terrible at one of the Call of Duty games and one of the Rainbow Six games, so I’m more willing to play FPS. Sure the game has some interesting mechanics.A� I like the “ghost” for each character.A� It’s sort of like your own personal GLADoS, only not as funny nor sarcastic.A� Also, at least with the type of character that I chose, there is a mystical element to the game similar to that from Hexen.A� However, at the heart of the game, it is just a typical first person shooter and not a revolutionary one like (broken record time) the Portal series. When I was talking to Chris about the game, he mentioned that it was one of those “always online” games.A� I didn’t know exactly what that meant, but now I do.A� During the game, it seemed like other players were able to join me during different parts of the game.A� I first noticed it when I was playing through and I saw that someone needed me to revive them.A� Shocked that someone else was in my game, I missed the chance and apologize if that was you. 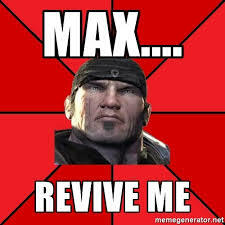 Though, to be fair, I’m no good at reviving even if I’m in the same room as the other person. Ask Chris. This in and of itself was not ugly.A� I actually didn’t mind having the help and needed it because I died twice during that part of the game even with the assists.A� But, I was also talking to Kevin about the game and he mentioned that the “always online” part of the game extends to personal lobbies that you might make to play with friends.A� Those lobbies are always open and other players will come in to grief you and your friends while you’re trying to play the game.A� I generally avoided PvP realms in World of Warcraft because of the griefing that people would do.A� I just don’t understand the appeal.A� So, if that’s something that actually is a problem in the game, I want no part of it. 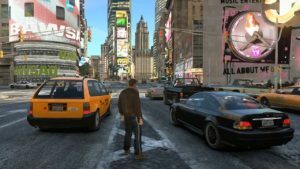 Similar to my Grand Theft Auto article, this one is based on limited experience with the game.A� As a result, my opinion may change and I can revisit this in a month or two if I find that things are radically different then.A� As of right now, I very much enjoyed my time in the game.A� The story is engaging, the gameplay is just different enough to keep me interested and I don’t exactly have many other games that are occupying my time right now. Always on the cusp of several years ago when it comes to just about anything, I finally purchased an XBox One. A�”Why,” you might ask, “after all of this time, did you finally buy an XBox One?” If you are asking about the choice of console, there’s really only one answer and it is the answer that regular readers of the page will recognize. A�The XBox one version of Minecraft is the first one to be cross platform with the Windows 10 and mobile version. 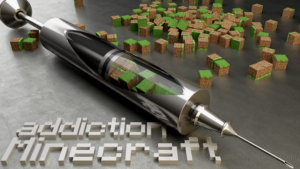 A�As Minecraft is still a huge deal in our house, that sealed the deal on the XBox as the next console in the house. If you are more wondering why I finally dropped the cash to get one, my wife was wondering the same thing. A�It came in the mail on a day that they were all home due to snow, so I took it into the living room to show Aiden because I knew that he was excited about it and waiting for it to arrive. A�”What’s that?” A�She asked. A�Aiden replied, “An XBox One.” A�”Why did you buy an XBox One?” She inquired. A�This time I replied. “Because I’ve been working my balls off for 2 months and I finally have the money.” A�Aiden, our child who is most enamored with “bad words” giggled at my response and then asked me to set up the console so that he could play some Minecraft. Over the next two days, I got texts from both Chris and Kevin asking me how I was enjoying the new console. A�To be fair, I had texted them both that I finally ordered the thing and when it arrived. 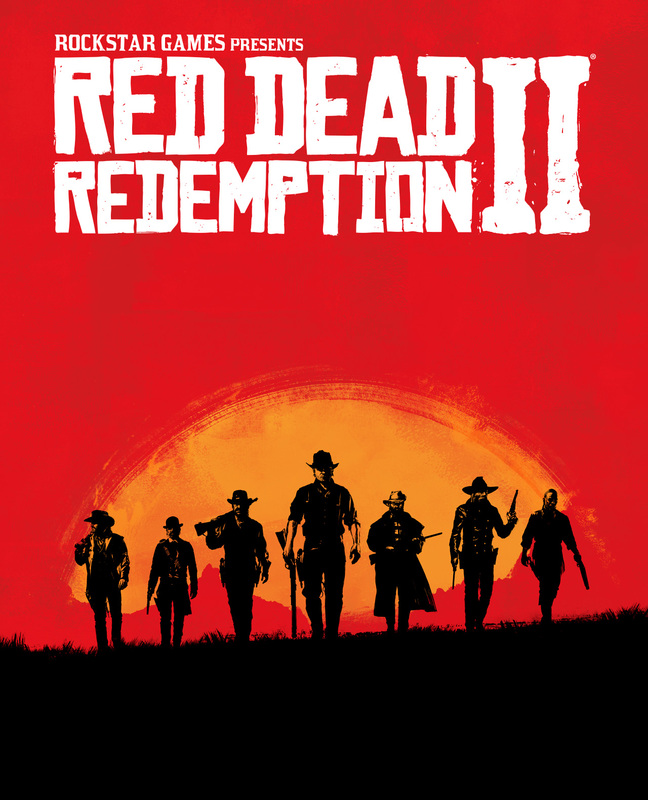 A�However, I hadn’t even been able to play it yet when they both asked me, so I had to sheepishly reply that the boys were enjoying it, but I hadn’t had a chance. 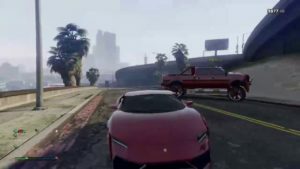 A�I did try to play Grand Theft Auto V (Five), but as soon as I put the disk in, it started to install something that looked like it was going to take at least an hour and I thought I had to be up at 6 the next morning. 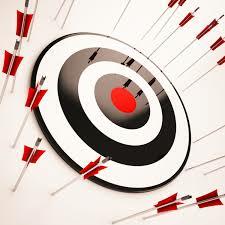 A�Plus, I just didn’t have the patience for that. A�Back in my day, you put the game in and you played it! Well, I’m here to report that I finally got to play GTAV (Five) for about an hour last night. A�That’s the only game that I’ve gotten to play so far, so this article will just be about my first impressions of the game. A�I hope to do something on cross platform Minecraft next week and maybe in a few weeks, I can do a deeper dive on GTA and maybe even Destiny 2 (the other free game that I got with the console) after that. Bear in mind that I have only made it through (maybe) half of the tutorial of the game. A�I had a beer last night, the second mission is a driving one, and I am proof that you should not drink and drive, not even in a video game. A�I couldn’t, for the life of me, finish that mission. A�So, I was only able to see the opening shootout, the cut scenes with the psychologist and introduction of the two repo men, and some of the driving mission before I failed it. A�Not once, but twice. 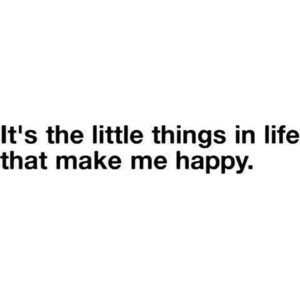 No lie. No joke. This is as far as I made it in my first attempt. I made it to the part where you cut through the alley on the second one. Don’t drink and drive, kids. Nevertheless, what I saw of the story was good. A�It isn’t that much different from what I remember in previous games. A�For reference, I played GTA3 to the end and then used the tank code to beat it so that I could see the ending, played a ridiculous amount of “try to jump the canal on your motorcycle” in Vice City, and just couldn’t get into San Andreas because it felt a little to real for me. A�I had a similar reaction to movies like Boyz N The Hood. Even with the familiar feel, I was still invested in the characters that I met. A�Rockstar does a good job with their storytelling in their games and that is something that I appreciate. 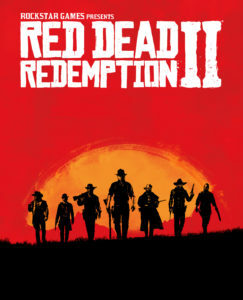 A�In fact, the story for Red Dead Redemption was not terribly original, but it was very well executed. 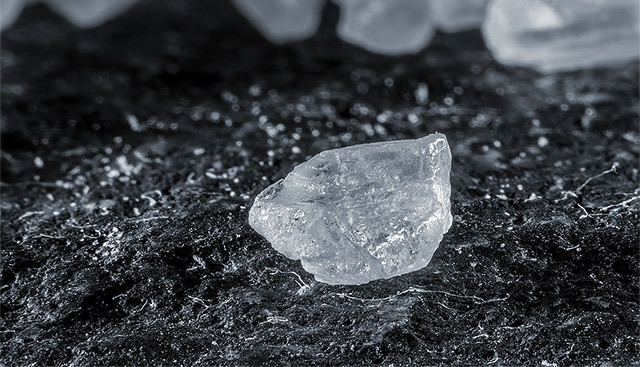 A�The same can be said for this story. A�I can’t wait to finish that second mission to see what kinds of crazy trouble I can get into and what weirdos I meet. The story might be good, but I already wrote that it is, to put it mildly, familiar.A� I also mentioned Red Dead Redemption earlier.A� By the time that game came out, I had played enough GTA that I knew the formula.A� As a result, it took a while for me to actually play that game.A� I often derisively referred to the game as Grand Theft Auto:A� Horse.A� Consequently, when I finally got around to playing Red Dead Redemption, I got a good lesson in not judging a game by its cover because it remains one of my favorite games I’ve ever played. And, the 2nd one became like Portal 3 or Half-Life 3, a fairy tale told to children to keep them docile and well behaved. I mean, can you blame me?A� Grand Theft Auto 3 was pretty revolutionary at the time.A� They took a top scrolling racing game and developed it into a fully realized 3 dimensional sandbox game that was almost on par with Super Mario 64.A� I already told you that I played that one so much that I got to the end.A� Granted, it was with a cheat at the very end, but hopefully over the last 3 years of this web page I’ve successfully painted the picture that I am a casual and lazy gamer that has only gotten more lazy due to the time commitment of adulthood. So, what do you do when you have a successful formula in movies, games, or anything else really?A� You abuse that formula to within an inch of its life.A� Humans are more creatures of habit than anything, so you can exploit that fact and just release the same thing over and over and people will still buy it.A� As a result, Vice City was just GTA with motorcycles!A� San Andreas was GTA with bikes.A� I never played 4 because I soon tired of the formula, but I assume that’s when they introduced airplanes and helicopters.A� If not, then this is that game. I am invested in the game, so I will continue to play it.A� I don’t expect to be blown away by any new technological advances.A� Unlike another game that I started to play that is very much like the original, The Sims, I suspect that I might get bored of this one earlier.A� Who knows, maybe the story and nostalgia will be enough to keep me engaged right to the end. 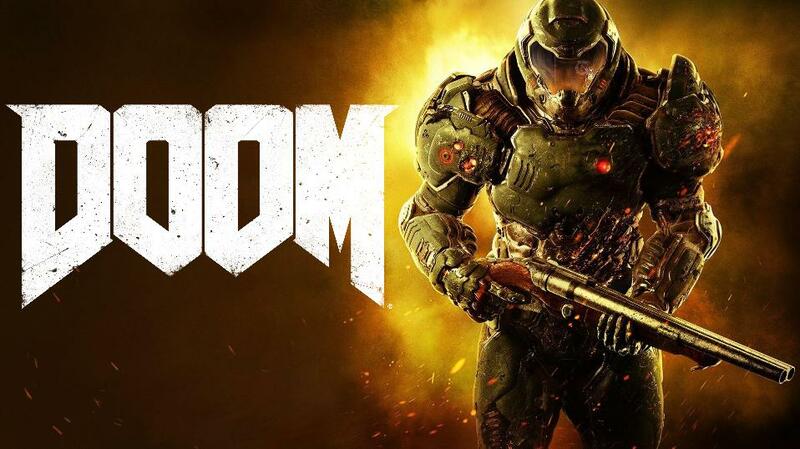 Then again, the new DOOM (and Fallout 4) beckons and DOOM was my first pew pew game love, so it might end up winning my heart again. I may be an old man.A� And I probably can remove the may from that previous sentence.A� And I definitely can remove the probably from that previous sentence.A� I am an old man.A� I’m not ancient, but I am (statistically speaking) on the other side of the proverbial hill.A� So, what I’m about to say won’t come as much of a shock. Granted, I haven’t made it too far into the game, but so far the violence level is high, but it’s not off the charts.A� So far, it is just spatters of blood.A� Certainly nothing like the disemboweling that happens in the Mortal Kombat series.A� I expect that to change, so something might come along to shock me into reconsidering my time with this game. The other mature themes have yet to show up, too, so I can’t speak on them.A� But, the language.A� I’ve only played through maybe 5 minutes of actual game and they’ve used the “F” word more than a full length movie.A� I mean, I haven’t been counting, but when the phrase “F” this “F”ing “F” is used, that seems a bit excessive.A� Bear in mind that I’ve used that phrase more than once in my life. 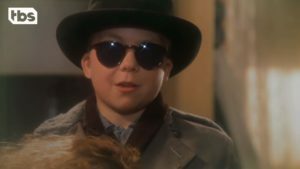 Heck, the reason that I laugh so hard at the soap scenes in A Christmas Story is that I’ve lived it more than once. So, I’m no stranger to swearing and I don’t even consider swearing that bad.A� It’s just that when anything is excessive, over the top, or it feels like it’s being used to cover up weak storytelling or dialogue, I get a little nervous.A� Also, I’ve listened to a podcast series recently that has changed my mind a little bit about the extraneous effects of certain pop culture phenomenon.A� I’m not going to jump into the GTA is contributing to the downfall of American life (except I kind of am skirting the issue), but we can’t possibly know all of the repercussions of any single event.A� Now that I’m older and the kids will eventually have to take over for me and the other old farts, I worry what legacy we’ve created for them. This has become my calling card.A� Like the Tick with “Spoon!”, I have “It’s *fill in the blank*.”A� There’s a reason for that and I wrote about it earlier.A� When you find something that works, you repeat that formula until it doesn’t work anymore because, well, why would you?A� Why take the resources to develop something new that will take time when you can just slap a new wrapping on the old thing and nobody will question you? Well, that’s where we are with GTA.A� Good or bad, it’s GTA at this point.A� They might give it updated graphics.A� They might be able to convince some Hollywood hotshots to lend their voices to the series.A� They might let you drive helicopters or boats.A� They’ll put in an online mode.A� But, in the end, it’s just GTA.A� For now, I can forgive that because the story and my memories of the old games have me engaged, but I can’t promise that will last.A� After all, I bought GTA 4 on the recommendation of a friend and never opened the game. And that one was supposed to feed exclusively off of my nostalgia for the “original”. 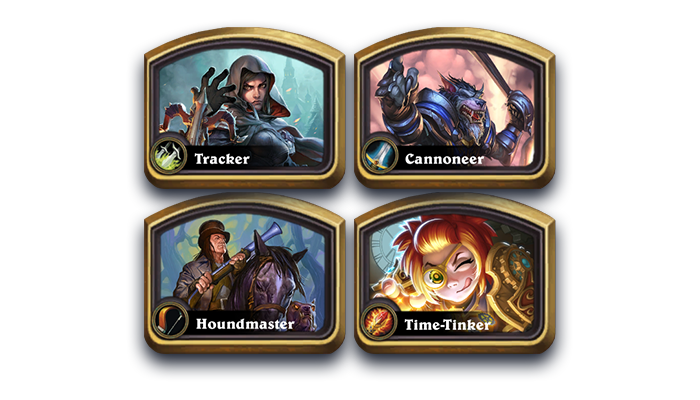 A few days ago, I noticed a post on Instagram about the new Hearthstone “year” and was surprised.A� I don’t know why I was surprised.A� I knew that it was about this time that they started their version of Standard and then it would have been around this time that they had their first rotations.A� However, unlike Magic, a game that I am almost always aware of new sets and rotations, Hearthstone is more of a hobby. Bear in mind that Magic itself is only a hobby and you will then understand the priority that Hearthstone is not for me.A� I am back to playing a bit each day to complete a daily quest or two.A� I watch the game on stream because it is an easy game to just veg out to while I’m writing or doing school work.A� Every once in a while I get delusions of grandeur and think that I’m going to grind to legend one month.A� So far, I haven’t pursued that particular goal.A� With my current schedule, I don’t think that I will anytime soon, either. So, to make a long story short (I know, too late!) 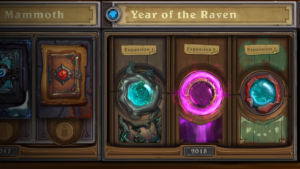 I had no idea that the rotation was imminent.A� Once I saw the Instagram post, I decided to do a little bit of research on what was imminent for the “Year of the Raven.”A� Needless to say, true to form, Blizzard did not give much information other than the name and the cards that were rotating into the Hall of Fame.A� Sure, I could speculate.A� Since I’m not a Hearthstone acolyte and I haven’t played WoW consistently for about 5 years now, any speculation on my part would most likely be wildly inaccurate. When has that ever stopped us before? 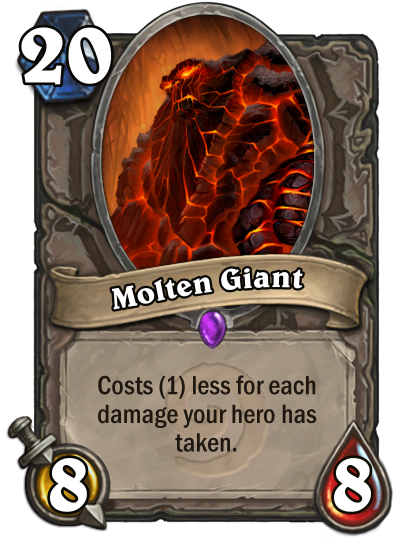 Once upon a time, Molten Giant was part of an OTK warrior combo that quickly got nerfed via the Warsong Commander nerf.A� They had to further nerf Warsong Commander when OTK Patron Warrior became a thing.A� The final nail in the coffin of this card came because of the stifling nature of handlock and the fact that they often could cast all giants for very cheap or even free, as was the case for this card. I was a huge fan of the old Handlock decks because they fit right into my playstyle.A� It was a control deck that required several different decisions to be made on every turn.A� I wasn’t the best Handlock player, though, and I understand why the deck became so dominant when played by players who are much better than I am.A� This card needed to be nerfed if it was to continue into the future and shake up the standard meta. I mentioned in my discussion of the latest round of nerfs that I liked that Blizzard wasn’t ignoring their eternal format as I was afraid they might.A� Some of those decisions were directly related to the Wild format.A� This decision is the same.A� Because there are more tools to deal with a pre-nerf Molten Giant, they’re giving it a chance to see if it can find a place in the meta.A� I don’t know if this will allow old Handlock to shine again, but I’m holding out hope. Out of the three cards that are being put into the Hall of Fame, this is the decision that I understand the least.A� While this is a frustrating card to play against, I don’t often see it in Standard decks at all.A� I play against it all the time in Wild already because I play against a bunch of Mill rogue and occasionally see them in a Freeze or Quest Mage deck. I’d have rather seen Doomguard in this slot and I’m not the only one.A� I’ve seen more than one discussion in Twitch chat (yes, they do happen sometimes) and on message boards about how annoying it is to play against Warlock with Doomguards, cubes, and Skull of the Man’ari.A� Warlock may or may not have been as oppressive as everyone thought when they nerfed priest (mostly) with the last patch, but I do know that I have seen a lot of Warlock being played on stream.A� I’m astounded that Doomguard is not in this spot. 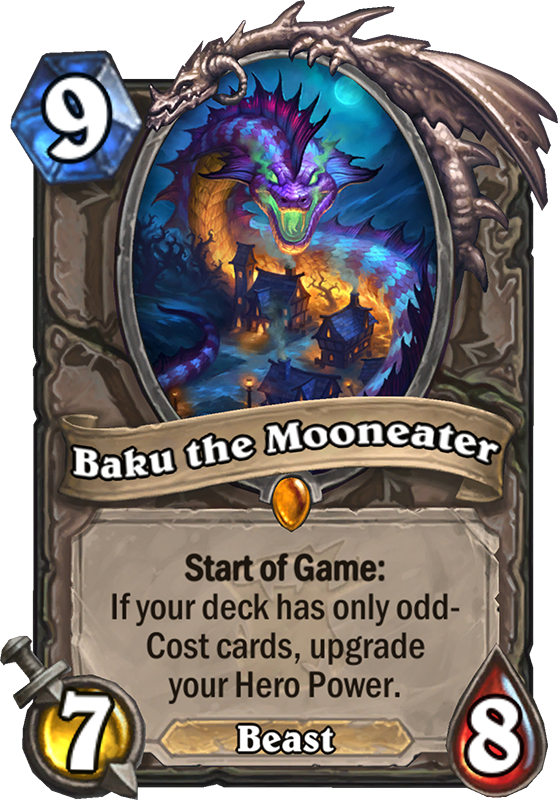 This leads me to believe that maybe they are releasing a standard card that does a similar thing or would cause this card to be busted wide open.A� I know that Blizzard seems to shy away from pushing a mill strategy, even though some players want to see that in Hearthstone.A� I understand why Blizzard would not want it.A� Without a graveyard and the possibility of interaction, cards that are burned are gone.A� It’s just not a fun strategy for the kind of game that Hearthstone is designed to be.A� Hopefully, Blizzard hasn’t decided to make mill viable in Standard.A� The fact that this card is moving to Wild only makes me think that they have. This is perhaps the single most frustrating card to play against in the game.A� Since the only win condition is to reduce your opponent’s health to zero, adding immunity to the game messes up all calculations and delays that victory by at least one turn.A� Since mage also has very powerful minion removal, the ability to gain life through Artificer now, and the ability to have more than two Ice Block in their decks, a sure victory often becomes a defeat that nothing could have been done to prevent. 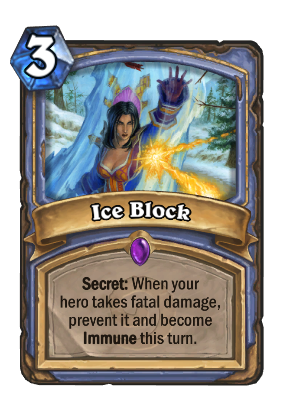 So, I understand that reason for moving this card to Wild.A� However, they just gave a few new cards to Rogue that give them immunity for a turn similar to this card.A� So, I don’t completely understand the decision.A� Granted those cards work slightly different from this one and they can be played around (especially the secret that only grants immunity after damage is dealt and it doesn’t prevent the damage) easier than this one. 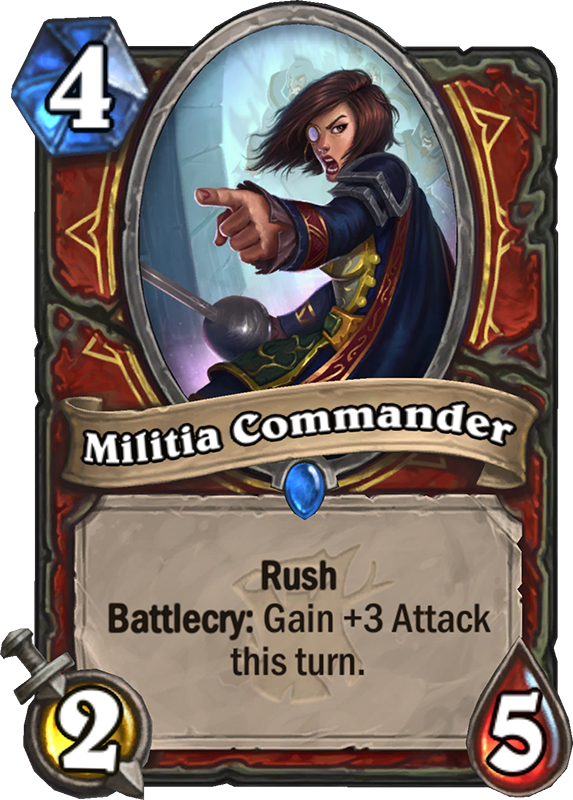 As a result, in addition to moving this card to Wild, perhaps they should have also adjusted this card so that it works more like that card or something.A� I honestly don’t know how they would change the card other than to make it like the rogue card, but that seems like a lazy way of doing things.A� A quick look at the most recent Wild snapshot shows that Mage decks that use Ice Block are only considered Tier 2, so perhaps Blizzard knows what they’re doing.A� So, I’m skeptical, but I guess that’s why I don’t design card games. 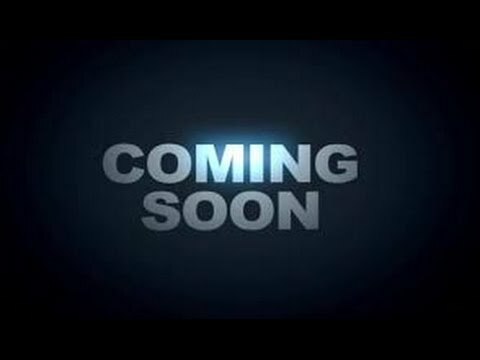 There are other things that they have announced.A� First, that we here at 2 Generations Gaming are most excited about is the announcement of a tournament mode.A� Yes, we can start to network and advertise the web page with our own tournaments in Hearthstone!A� When Chris told me about it, I was beyond excited.A� When we first started having the idea for the web page, I always wanted to do a tournament for Magic and we’ve even had discussions about that, too.A� Things are really starting to come together. Two other cool things for filthy casuals like us is that they are altering some of the more difficult quests to finish and making them easier.A� This will mean less time invested in getting my gold to buy my packs that I will never open.A� Finally, the new Druid hero is finally here and she is easy to get.A� Win 10 Standard games over the season and you will have Lunara instead of Malfurion.A� All great stuff. As far as the new set, I don’t have much to say right now.A� I refuse to speculate because I’m mostly ignorant to both Hearthstone and World of Warcraft at this point.A� Anything that I might say or think will be simply guessing and even though I made the joke earlier, I’m not usually one to engage in wild speculation on what Blizzard might do.A� As we saw with my analysis of Ice Block, it is sure to be incorrect. However, I have seen some speculation from others who know better than I do.A� First, someone said that the year of the Kraken seemed to deal with mystical and god like powers.A� Then, the year of the Mammoth dealt with large creatures and effects.A� Therefore, the year of the Raven will deal with dark and dreary themes.A� This made them conclude that the next expansion might have something to do with Duskwood.A� There was another image out there that made theory seem plausible, but I don’t exactly see Duskwood in that icon at the middle of the teaser.A� I suppose that we will see.A� Continue to visit for more of my analysis as we get closer to the release.